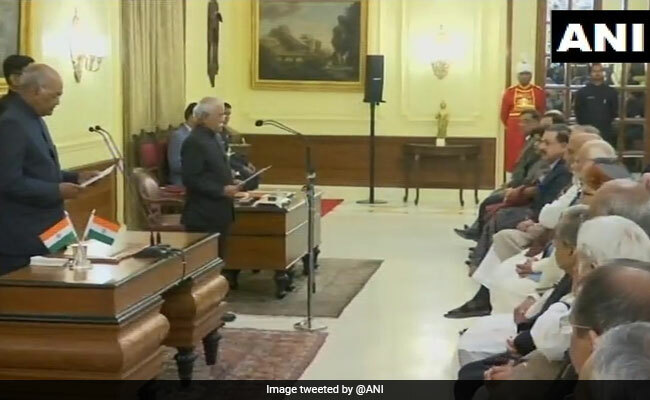 Sudhir Bhargava was administered the oath of office by President Ram Nath Kovind at a ceremony in Rashtrapati Bhavan, it said. Sudhir Bhargava was working as the Information Commissioner in the CIC. Sudhir Bhargava took oath as the chief information commissioner in the Central Information Commission (CIC) on Tuesday, a statement issued by Rashtrapati Bhavan said. Mr Bhargava was administered the oath of office by President Ram Nath Kovind at a ceremony in Rashtrapati Bhavan, it said. Mr Bhargava was working as the Information Commissioner in the CIC. Mr Sinha is a 1981-batch Indian Foreign Service (retired) officer who was the Indian high commissioner in the United Kingdom. An alumnus of St Michael's High School in Patna and St Stephen's College in Delhi, Mr Sinha had served a number of important postings in the Ministry of External Affairs, including the crucial Pakistan-Afghanistan-Iran division, which he headed for four years as the additional secretary. The only woman in the CIC will be Ms Sarna, a 1980-batch retired Indian Revenue Service (Customs and Central excise) officer.